The 48 million Americans currently lacking health insurance will have a chance to sign up for medical coverage once Obamacare goes into effect. But will there be enough doctors to care for them? One study predicts a shortage of 45,000 primary care physicians in just seven years. And at least three medical schools are shaving off a full-year of their degree programs to get primary care physicians into the workforce sooner. NEW YORK (Reuters Health) - Private insurance companies across the U.S. pay doctors dramatically different amounts for the same routine office visits and services, according to a new study. Physicians at the high end of the reimbursement spectrum get more than twice as much as those at the low end for the same service, with little apparent reason for the difference, researchers say. While tele-medicine may hold a lot of promise for improving patient care, one doctor in Eastern Oklahoma was disciplined for treating his patients over video conferencing platform Skype for mental health issues, NewsOK reported. Thomas Trow, M.D., used Skype, claiming he thought it to be suitable for communicating with his rural patients, and prescribing patients Xanax and other powerful narcotics. However, the Medical Board of Oklahoma doesn't approve of Skype as a tele-medicine communication system, according to NewsOK. One patient was treated for three drug overdoses in less than six months, and later died, while two others also died while under Trow's care, although investigators said it wasn't attributable to the doctor. The industry transitioning to clinical integration and accountable care. Do You Remember When Doctors Made House calls? Do you remember When you could talk to a doctor Day or Night? There was a time when talking to your doctor was as simple as picking up the phone. Back then your doctor who talk to you about your minor problems and prescribe treatment without a visit to the office. That was then but now even minor problems requires and office visit and a long wait that drives up Your healthcare cost. There must be a better WAY? Well There is, I'd like to take a minute and introduce you to We believe being healthy should be a natural right that everyone is entitled to, and now, access to physicians is only a mouse click away. We provide our members unlimited real time, immediate interaction with a national network of physicians via web cam, phone or secure email, 24 hours per day, 365 days per year. Our physicians can consult, diagnose, treat, write prescriptions, and order labs for non-emergency medical conditions. In addition to immediate access to health professionals, we provide a financial opportunity that is truly life changing for our members. 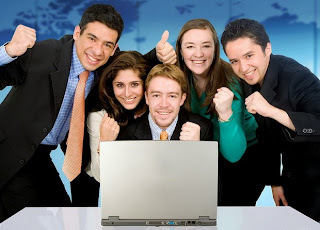 We have created the most lucrative and generous compensation plan in the industry. JOIN TODAY AND START BUILDING YOUR TEAM NOW!!! 2013 is shaping up to be a banner year for mobile ad spend. According to the newest projections published this week by eMarketer, total digital spending will balloon 13 percent this year to reach $117.6 billion. In particular, mobile spending will climb 79.7 percent (year-over-year) to $15.8 billion. The global research firm believes the spending growth coincides with increasing consumer adoption of mobile across the flourishing digital ecosystem. On one hand, it’s a good question in that the marketer asking it knows dull content is deadly. But it’s a bad question too. Why? Because it’s the wrong question. The right question is: how do I excite my readers? Note the absence of “tax preparation” or “kitty litter” or “conference calling services” or any mundane product category. Your readers care about something far more important: themselves. The Start Up Loans Company will be celebrating its one year anniversary this week, and what a year it's been. As a startup ourselves, there has been so much to learn in such a short space of time. We've also learned many lessons from our 8,000 entrepreneurs across the country, who are helping develop the startup landscape for the future. With 8,000 loans given to budding entrepreneurs across the country, and an expansion of the scheme to people over 30, the statistics speak for themselves. So the question is, what have we learned in our first year of trading? If you would like to attract the attention and interest of your marketplace, this post is just for you attraction marketing I was prompted to write this, after I shared something on my Twitter and Facebook accounts yesterday, which resulted in 2 very different reactions from people. Here’s what I shared: “Giving and receiving starts with giving. If you’re not receiving enough, you’re probably not giving enough”. Most people seem to have understood the point of this message. Some did not. 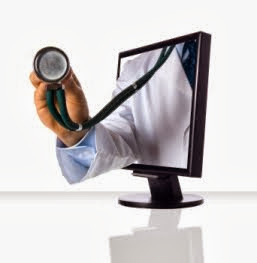 Forty-one percent of U.S. consumers would consider changing health care providers to be able to access their electronic health records online, according to a new survey from Accenture, Becker's Hospital Review reports (Gregg, Becker's Hospital Review, 9/16). Elizabeth D’Alesio has 10 new patients. She prescribes their medications, orders their labs, performs diagnostic testing and provides wellness advice. But D’Alesio isn’t a doctor. She’s a nurse practitioner who, thanks to a law passed last year, was allowed to open her own practice in Hopedale to provide primary care services last month. D’Alesio, who is certified in critical care, adult and women’s health, has been working as a nurse practitioner for more than 20 years and felt now was the time to strike out on her own and fill a need for local patients. Big might be good in the current and future medical marketplace and a model that brings together multiple smaller practices might also be the answer. This model is often called a network practice or group without walls (GWW) but it basically is a number of small practices, typically in the same specialty, that trade under a common tax identification number but which allows significant autonomy to each location. This might sound complex but it really isn’t, but let’s first look at why it makes sense. Search on Google for the phrase "how to live longer" and soon you may have an answer from Google itself. The Mountain View, Calif.-based company recently announced plans to launch Calico, a new firm that will try to solve healthcare's problems and extend human life, according to Google co-founder and CEO, Larry Page, who made an official announcement about the initiative on his Google+ page on Sept. 18. What’s helping (and hindering) state Health Information Exchanges? There is no such thing as a cookie cutter approach to healthcare information exchanges. That is a point HIMSS Senior Director of Informatics Pam Matthews can’t emphasize enough. Sure, there may be some common models — network of networks, hub and spoke, peer-to-peer — and each exchange wants to meet Meaningful Use requirements outlined in the HITECH Act. But the exchanges that are progressing well are the ones that go beyond MU and consider the needs of their state or region’s constituency. 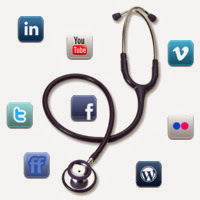 In an iHealthBeat audio report by Rachel Dornhelm, experts discussed the use of social media in health care delivery. While privacy concerns continue to persist, some stakeholders say they have seen progress in using social media tools to encourage behavior changes. The growing number of retainer-based primary care physicians or direct primary care practices has come to Philadelphia. Mason Reiner, the founder and CEO of bootstrapped healthcare startup R Health, sees an opportunity to help consumers cut down on healthcare costs through more meaningful patient interactions and 24-hour access through telehealth.